Love stories and guides to almost EVERYTHING. How to Update Graphics Driver? How to Write Love Poems? How to Start Making Games? How to Prepare Tang Yuan? Strictly for educational purposes only. If some of you are keen to know how someone could take away your wallet which is so close to you, or even something in your handbag which you're always carrying it, here's how. Pickpockets are very skilled and is one of the thieving where it requires more of a smooth act than brute force. I will use a couple of words from the pickpocket world. These are the meanings. There are 3 main things pickpockets have to do. Scouting, Diversion and Lifting. - Wallet at back pocket. - Opened latch handbags, those with no zips (for women). Pickpockets do make use of the "BEWARE OF PICKPOCKETS!" sign, as people would pat on their pockets to check after they saw the sign. But a few minutes later they'll forget about it, and pickpockets now know where their wallets are. Once they spotted the correct mark, they would have to do a diversion. One of the most unsuspected diversion is the bump. When a pickpocket bumps into their mark, they immediately use their 2 fingers (index and middle) to push the bottom of the pocket, to let the wallet rise to the opening of the pocket. Then with the other hand, they take out the wallet with their two fingers acted like a tweezer (do a peace sign, the wallet goes in between) or with thumb and index finger grabbing the edges of the wallet (that way the hand will be as flat as possible). Another good diversion that skilled pickpockets would like to do in the bump is to fold a newspaper about the same thickness as the mark's wallet. Then using the two fingers acted like a tweezer to dip in the pocket and take it out while putting in the newspaper. If the mark feels for his wallet, he'd probably think it's still there because of the newspaper. A pickpocket can "accidentally" spill juice or water over the mark, and apologize by helping them clean up. During the wiping process, the pickpocket can pretend to wipe or clean the mark using one hand, while the other gets the wallet. The mark is probably in a rage and is busy cleaning instead of worrying about their wallet. Just drop some money or something valuable on the ground. 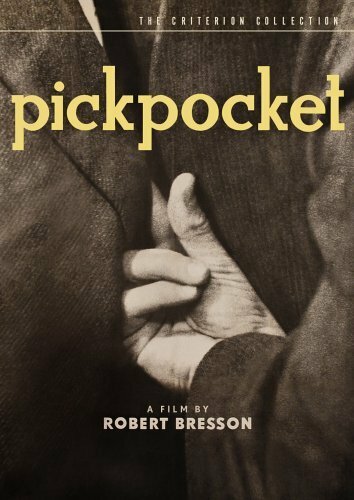 When the guy reaches down to pick it up to satisfy his own greed, the pickpocket will reach for the wallet. This is also good as when you bend down, your back pocket is more exposed and opened, which makes it easier for the pickpocket to take it out quickly. 4. What about pickpocketing from a handbag? Pickpocketing from an handbag is much easier for a their kind. This is because it's harder to feel the pickpocket's hands than it is to have a wallet in the back pocket. Same concept, but no diversion is needed. They just need to keep you looking elsewhere. Most pickpockets do this when the woman is moving, they follow her with the same speed while lifting. When the woman walks, she would not notice the movement caused by the pickpocket (opening, unzipping and lifting) as her movements also move the handbag. Lifting is as easy as dipping in with fingers and take the stuff out. To ensure that it doesn't alert the mark, lifting is always done on a loose pocket and its more of a fast action instead of slowly taking it out. If the pocket is too tight or its too hard for them to reach in from the opening, they would use a razor blade to slit the bottom of the pocket. This is a much easier way of doing it, the slit can be done in a bump as well. Slitting is done to lift from a front pocket as well. That's Impossible! I Would Always Know If My Wallet's There! Humans cannot focus two different things at once. As an example you can try counting 1 to 5 while saying in your mind the word Superman at the same time, which we couldn't do. We can only think of it one at a time. Feeling Inferior with Your Brain Now? Another example is to hit yourself with a hammer at one side and tap yourself at another side of your body. You would probably only feel the painful hammer hit, and wouldn't feel the tap. But of course, doing that you might still feel the tap, because you knew it was coming! Diversions are not only from physical contact but also what you see and what you hear can divert your attention. A simple bump and the pickpocket who waves at you to say, "Sorry." with a smile would probably leave you in a pause and you would want to say, "It's Okay!". You won't realize about your wallet just yet, unless you knew it was coming. This is strictly for educational purposes only. This is to show how pickpockets work, and is for all to know to take precautions against these methods used. No pocket is pickpocket-proof, as they always have ways to pick. Therefore, we must be cautious and take care of our belongings by being aware of these petty methods. DO NOT TRY THIS!